yesterday it poured for about 15 minutes. i had just come home from lunch because it had started to rain on me, and once i got inside it really came down. i made sure all of the windows were closed – and then it started to rain in the living room. when we moved in we had noticed cracks in the ceiling, and chalked it up to being in the old country. 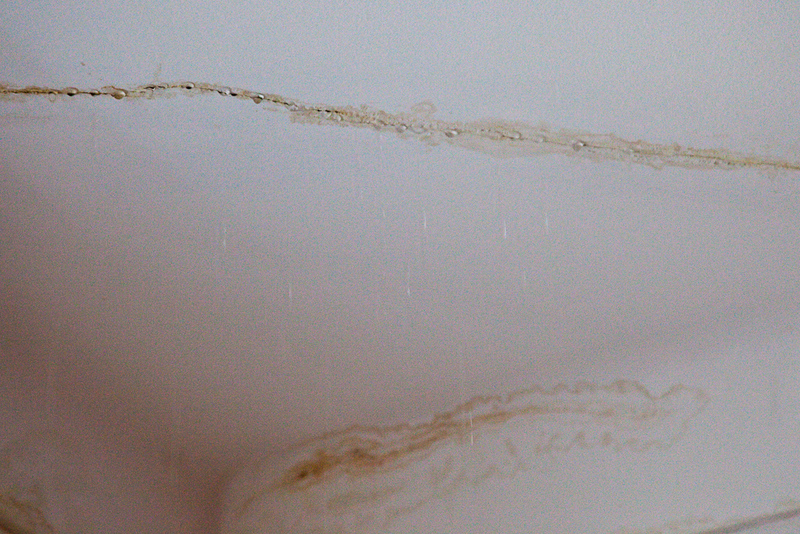 but it turns out that those cracks turn into faucets when it rains hard. i was able to move the furniture, find a bucket, and contain the water with towels. so, to relax while watching the ceiling rain, i turned on the tv. the tv that we’ve got here has, what i’m guessing is, very basic cable, or some sort of foreigner package, because it has the oddest assortment of channels. it’s got poker tv, russian news, hong kong news, a fashion channel that only has runway models 24-7, and my friend bloomberg uk . bloomberg is my friend because he’s the one that speaks english to me. i hang out with him despite how extremely boring he can be. my friend, bloomberg, and all of his odd friends including the poker channel, died as i was watching the rain come down from the ceiling. i’m pretty sure the flooded walls drowned my friend in the box. ps. and hulu, along with all of the other american tv online websites, block people outside the us from watching. it’s just like happy hour at the tonga room or the produce section at qfc except that you don’t have to leave your living room. matt, you’re making americans seem ungrateful. Nerdy time: you can watch the hulu with http://www.strongvpn.com or something similar. thanks, i’ll have to try that one. i used hotspot shield for a few days, but then hulu caught onto it and gave me an error saying that i was accessing their site through a proxy server. I should introduce your TV friends to my TV friend, Will Smith. Turns out HBO in Shanghai consists of back-2-back showings of Men In Black. try the fake looking website i showed you. http://www.free-tv-video-online.info/ that should work. hope it’s stopped raining! thanks, that one seems to work.